What you going to need to mount the acoustic foam temporarily. How to use the hanging strips to attach acoustic foam. Common Questions You Might Have Regarding Mounting Acoustic foams Temporarily. How Long Does It take to mount acoustic foams around the room? Can I use this Method to Install Acoustic Foam in a rented place? In this article, I will show you exactly how to mount acoustic foams temporarily without using any glue and damaging your walls. Acoustic foams are great because they help reduce echo’s, reverb and deflect unwanted noise whether you are recording voice-overs or mixtape drops. However, many methods used to hang the acoustic foam are most damaging to the wall and permanent. Are you looking for a temporarily way to mount the acoustic foam, Congratulations! you are at the right place at the right time, read on and in no time you will know how to hang the acoustic foam to create a sound deadened room. 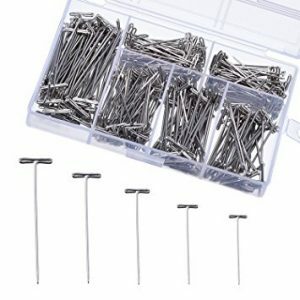 Most people would recommend using the T-pins to hang the acoustic foam, Without a doubt, T-pins are great and are less drastic in terms of wall damaging, however, they still leave tiny holes on the wall which is not great at all especially if you are living in a rented space. Stronger and affordable. I Highly Recommend them for mounting foam. 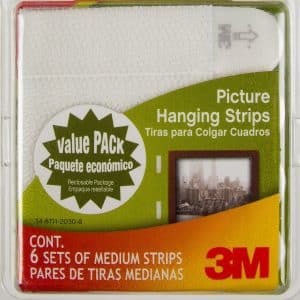 Although 3M hanging strips are used for pictures, They are strong enough to hold acoustic foams onto the wall what I like about these strips is they are quite incredibly cheap ( check price) From Amazon and they do the holding job quite well. 3M hanging strips are effective and removable so you don’t have to worry too much about using hanging strips to mount acoustic foams because they will not damage your wall at all. Please do note there are 3M hanging strips comes in different sizes so depending on how big is your acoustic foam you will have to select a correct size that will be able to withstand the pressure. Usually, normal square shaped acoustic foams use the medium size but if they are heavier I recommend you buy the Large hanging strips. You can check them on Amazon (HERE). 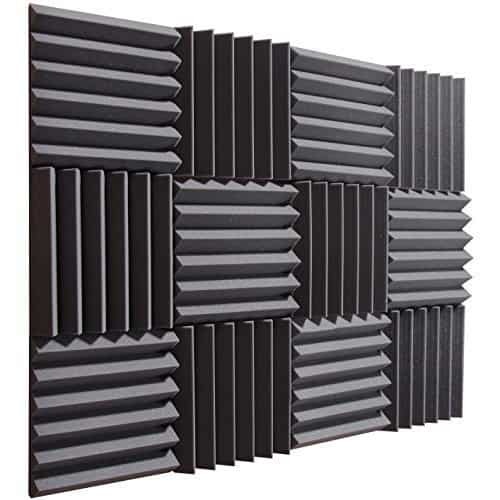 Follow the following steps to successful mount acoustic foam temporarily without damaging the wall. Take the hanging strips and open it and cut small pieces (depending on the size of foam). Paste the hanging strips in a separate corner at the back of the acoustic foam. Carefully decide which part of the wall would you like to attach the foams.
. After pasting the hanging strips into each corner of the foam simply mount the foam into the wall. Repeat the whole process until you have covered the whole area. It’s simple, right? I thought so too, in fact, this is the exact method my friend and I used to soundproof his small home studio, it’s been over two weeks now and the acoustic foams are still stationary and mostly what I really like about this method is it’s really temporarily and does not damage walls at all. This depends on the size of the area you want to sound dampen. but it took us about 35-50 minutes to complete a small home studio, Really this will not take you long and it’s really simple to do. Definitely, Using hanging strips instead of adhesive and t pins makes it easier to mount the foam without doing any damage to the wall and it is very simple to remove. I hope you found this method useful I actually did it myself and thought I should share with you because I have been asked a lot about using acoustic foams on the wall and the easiest and cheapest method. If you found this post useful please don’t forget to share to help others you need a solution to this problem.